Plea agreements are contracts, well like contracts anyway. Contracts (or like contracts) in order to be enforceable require a meeting of the minds (certainly as indicated by the words of the "contract" (or like contract)). Today, I discuss, by referring to another article, that aspect of a plea bargain in an earlier case in which the judge withdrew a plea pursuant to a plea agreement where there probably was a meeting of the minds as to the matters covered in the plea agreement but the parties clearly were not in agreement as to a critical component of the plea agreement (the tax loss which is the principal driver of the guidelines sentencing range in tax cases). I also discuss a case where the judge withdrew a plea pursuant to a plea agreement because, in his mind, the parties' agreement did not establish the elements of the crime to which a plea was made. The ABA's Tax Times for June 2016 has this article: John Colvin and Claire H. Taylor, U.S. District Judge Rejects Tax Promoters’ Plea Agreement in United States v. Crithfield: A Rare Event, but a Warning to Defense Counsel (June 2016), here or, if that does not work, here. I will try to summarize the case, hoping to do justice to the longer presentation by two very good attorneys. The conduct involved in the criminal indictment involved promotion by two defendants of an abusive captive insurance scheme, called a Business Protection Plan (BPP). Essentially, the product they promoted was an investment scheme wrapped up in a package made to appear as insurance. The indictment charged one count of conspiracy (defraud/Klein conspiracy under 18 USC 371, here, a five-year count), and two counts of aiding and assisting (26 USC 7206(2), here, each 3-year counts). As is typical, the resulting plea agreement dropped two counts in return for the defendants plea to another count -- aiding and assisting, a 3-year count. So, under the plea agreement, the defendants could not be incarcerated for more than 3 years, but they could be incarcerated for less, all the way down to no incarceration, depending upon the judge's Booker sentencing discretion after respectful consideration of the guidelines calculations. In the case, the defendants wanted to limit the tax loss at sentencing to the tax loss attributable to the conduct involved in the count of conviction. But, as every lawyer representing criminal clients in financial crimes cases knows, the loss for sentencing guidelines purposes can include loss attributable to the count of conviction (in this case the single aiding and assistance count) and the loss from "relevant conduct." Therein lies the rub. The defendants here insisted that only the loss from the count of conviction was included in the tax loss calculation for sentencing guidelines purposes. The prosecutor insisted that the relevant conduct tax loss -- and there was a lot of loss attributable to relevant conduct -- was includible in the calculation. That would result in a high guidelines range calculation, limited to the three years maximum for the count of conviction pursuant to the plea. The spat during the sentencing phase as to whether the relevant conduct was includible probably alerted the Court that an ineffective assistance of counsel issue was in the making, so that it just reversed its acceptance of the plea agreement and sent the parties back to square one. 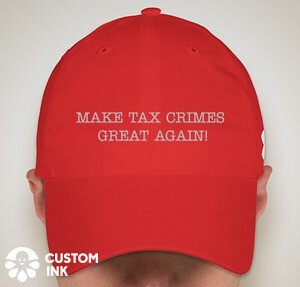 As the authors of the blog entry note, that may or may not be good for the defendants, for if they go to trial and are convicted or all counts, the overall tax loss would be includible either directly as conspiracy tax loss or as relevant conduct tax loss. I refer readers to the discussion by Colvin and Taylor for a lot more nuance. On to the next case. Upon review of the documents submitted for Jenkins's sentencing hearing, however, I became concerned that the facts underlying the offense conduct did not satisfy the mens rea element for the charged offense. At Jenkins' sentencing on August 12, 2014, I noted that the underlying factual information provided in the U.S. Probation Office's Presentence Investigation Report ("PSR") and the plea colloquy did not appear to set forth a sufficient factual basis for Jenkins to be culpable of violating section 7206(2). I accordingly continued the sentencing hearing and invited counsel submit additional briefing on the sole issue of mens rea and criminal culpability under section 7206(2). Defense counsel submitted an undocketed letter brief arguing that mens rea could be established under a "conscious avoidance" or "willful blindness" theory of culpability, and the government joined Jenkins on that letter brief. For the following reasons, I must reject Jenkins' guilty plea as failing to establish the requisite mens rea for the underlying offense. n1 The PSR indicates that employees may have received bonuses based on the number of returns they completed. There is no indication that the bonus was based on the existence of a credit/refund received by a client, or on the dollar amount of the return or the potential refund. PSR ¶ 65. Ostensibly Jenkins would have received a commission on the thirty-one "false" returns even if the information in those returns had been accurate. The parties stipulated to the following facts: Jenkins's work environment was "like a bar" in that employees frequently drank at work (or utilized other substances) with the knowledge and consent of management. Id. Jenkins noted that she drank on the job and that her workplace was "more like a bar than a place of business." Id. Tax Express's preparation software, however, had a known glitch that would populate forms for new clients with information from previously prepared returns (i.e., the software did not "reset" its values for each new tax return). Id. Jenkins was aware of this glitch, but in part because she was alcohol-impaired, she did not double-check returns for accuracy. Id. As a result, she often overlooked fields in which certain tax credits were improperly included in her clients' individual federal income tax returns. Id. The offense with which Jenkins was charged requires a mens rea of willfulness. See 26 U.S.C. § 7206(2). During the plea colloquy before Judge Garfinkel, the AUSA stated that the willfulness element was met because: "Ms. Jenkins had notice of the higher probability that the tax returns she prepared contained false information. Despite this knowledge, she consciously failed to verify that it was true and accurate." Colloquy Tr. at 18 (Jan. 7, 2014); see also id. at 31. Judge Garfinkel adopted the same language when questioning Jenkins about the adequacy of her plea: "And would you agree with [the AUSA's] representation that these returns had information of which there was at least a high probability of them being inaccurate? The information being inaccurate and that you knowingly, consciously did not make any effort to verify them, verify the information as true and accurate?" Id. at 35. Jenkins agreed with that characterization. Id. at 35-36. Her attorney, however, specifically stated that Jenkins "doesn't have a specific recollection of" the tax return referenced in the information. Id. at 34. The AUSA did not challenge that assertion or suggest that he had evidence to rebut it. At the truncated sentencing hearing, the parties argued that, although her behavior was not intentional, Jenkins had either "consciously avoided" exercising care or had been grossly negligent or reckless in her preparation of the allegedly false returns. Jenkins's counsel noted that Jenkins would not stipulate to offense conduct considered to be more than "grossly negligent" or reckless, and Jenkins would not stipulate that she had a specific intent to violate a known legal duty. Instead, defense counsel noted that Jenkins had abrogated her duty of care as a tax preparer, invoking a common law theory of civil, not criminal, negligence. Pursuant to Rule 11 of the Federal Rules of Criminal Procedure, "[b]efore entering judgment on a guilty plea, the court must determine that there is a factual basis for the plea." Jenkins was charged under 26 U.S.C. § 7206(2), which requires a mens rea of willfulness. The Supreme Court has defined "willfulness" as "a voluntary, intentional violation of a known [legal] duty." United States v. Pomponio, 429 U.S. 10, 12 (1976). In the context of tax fraud, that specific intent requires proof beyond a reasonable doubt that the defendant sought to evade or otherwise interfere with the federal government's tax enforcement efforts. United States v. Bishop, 412 U.S. 346, 360 (1973); Ingram v. United States, 360 U.S. 672, 680 (1959) (violator's objective must include evasion of federal taxes); United States v. Aracri, 968 F.2d 1512, 1523 (2d Cir. 1992) (specific intent required); United States v. Gurary, 860 F.2d 521 (2d Cir. 1988) (same). A showing of recklessness or gross negligence is not sufficient. See United States v. MacKenzie, 777 F.2d 811, 818 (2d Cir. 1985), cert. denied, 476 U.S. 1169 (1986) (upholding a "conscious avoidance" instruction for the knowledge prong of the willfulness element of tax fraud where "the charge clearly informed the jury that actual knowledge was required and that recklessness was not adequate to prove willfulness"). In the present case, the government has failed to show that Jenkins had anything more than a reckless mens rea. The evidence discussed in the plea colloquy does not show that Jenkins was "practically certain" that her conduct would result in a false return because it appears that the incorrect tax credits occurred at random. Instead, at best, the government has thus far shown only that Jenkins knew that some of the returns would likely have errors if she failed to check them. That kind of probabilistic "knowledge" does not rise above the level of recklessness, and it certainly does not meet the high standard required for a showing of "willfulness," particularly as required for tax fraud. See, e.g., Ratzlaf v. United States, 510 U.S. 135, 141 (1994) (in the context of 31 U.S.C. § 5322(a), explaining that the "willfulness" element includes, inter alia, "a specific intent to commit the crime, i.e., a purpose to disobey the law") (internal quotation marks and citation omitted); Bryan v. United States, 524 U.S. 184, 194-96 (1998) (explaining that the need for a heightened willfulness standard for tax crimes arises from a risk of "ensnaring individuals" with highly technical statutes). And that inference is bolstered by the strong similarity between the language used during the colloquy and the recklessness definition in the Model Penal Code. Compare Model Penal Code § 2.02 (defining recklessness as "consciously disregard[ing] a substantial and unjustifiable risk"), with Colloquy Tr. at 35 ("[T]here was at least a high probability of [the information in the returns] being inaccurate? The information being inaccurate and that you knowingly, consciously did not make any effort to verify them . . . ?"). Because the government has failed to show an adequate factual basis for the mens rea element of the offense, I cannot accept Jenkins' guilty plea. My initial acceptance of Jenkins' guilty plea is vacated. The parties should be prepared to discuss the implications of this order during a conference call to be scheduled shortly. This is truly an amazing development. At a minimum, it shows that, in the plea colloquy, the prosecutor screwed up. If, in the colloquy, the prosecutor laid out the Government's "best case," then the judge is saying that "best case" is inadequate, and "the implications of this order" is that the prosecutor should dismiss the case or the court will. If, on the other hand, the prosecutor just misspoke and the prosecutor and the defendant can agree upon a plea agreement or a colloquy that states the elements of the offense, then the judge may accept the plea. Another alternative is that the Government will insist that it can prove the elements of the offense and the defendant will not agree, in which case the prosecution will proceed to trial.